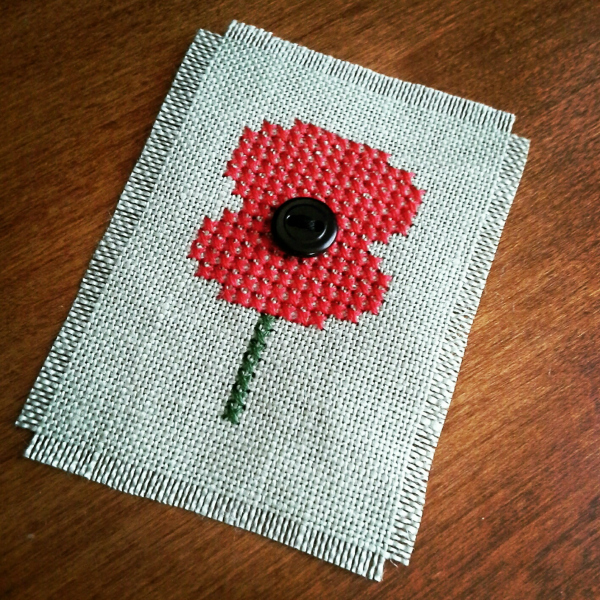 Last year I stitched up this little red poppy for ANZAC Day and shared it on my Facebook page and Instagram. 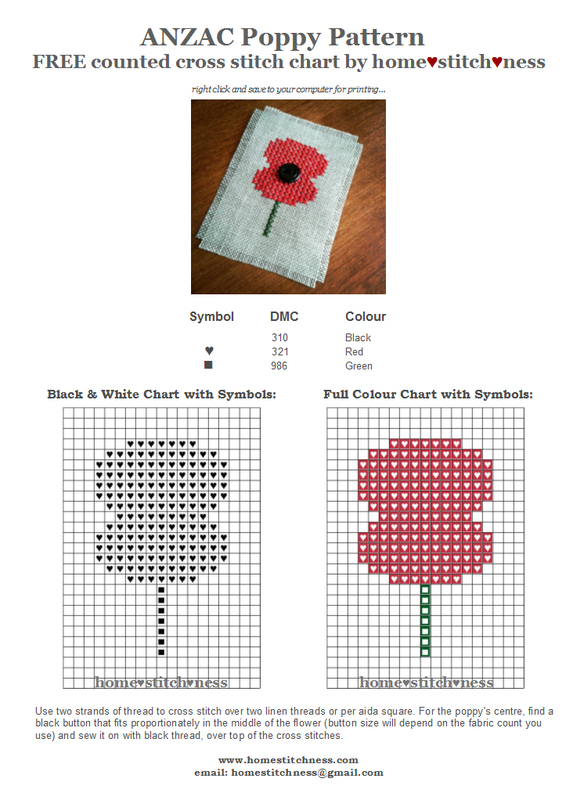 One of my lovely cousins (who is also a cross stitcher) asked me if I'd mind sending her the chart so that she could have her primary school students stitch up poppies as an ANZAC themed activity for her class. As she recognised - this would make a great project for children. It is a very easy and straight forward pattern that is suitable for beginners. All you'll need is a black button from your stash, a scrap of fabric (the larger the count the better) and a few thread colours to stitch the design. Spending some time quietly stitching is a great way to reflect on the sacrifices made by the many men and women who have fought to ensure our freedom. You are welcome to use/share this chart as much as you wish.